As you probably already know, “fidget spinners” are all the rage right now. Similar to worry stones or squeezable desk toys, spinners are designed to help relieve stress and anxiety by providing a mindless way to keep your hands occupied. 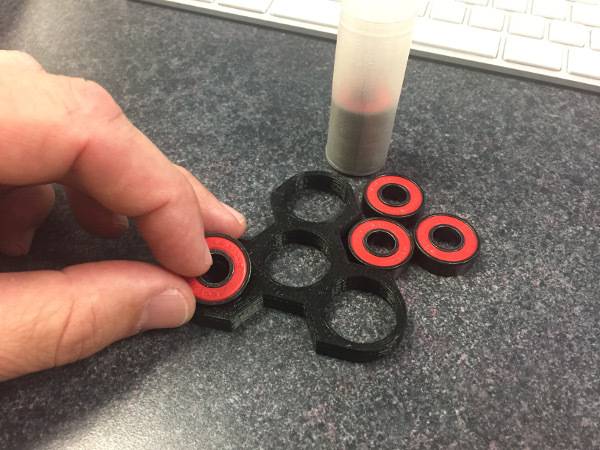 Always eager to make the latest and greatest, 3Ders have jumped on the spinner craze and produced a wealth of free spinner designs that can be downloaded, 3D-printed, and assembled. So it was not much of a surprise when we were contacted by our friend and customer Kevin Papke, a Science/Technology/Robotics teacher for over 20 years at MacArthur Fundamental Intermediate School in Santa Ana, CA. 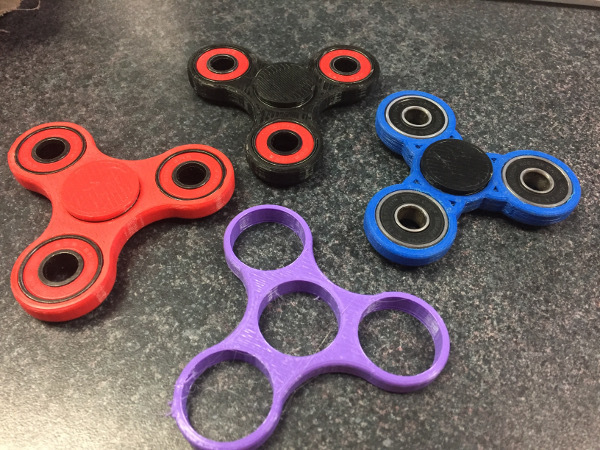 Newly created fidget spinners fresh out of an AXIOM 3D printer. Kevin is one of those teachers who is constantly on the lookout for ways to incorporate technology trends into his STEM lesson plans as a way of engaging his students and getting them really excited about learning. When Kevin saw the popularity of spinners on the rise, he knew his students would love making fidget toys. And he was right. Skateboard bearings not only make spinners look cool; they are what makes the fidget toy spin. 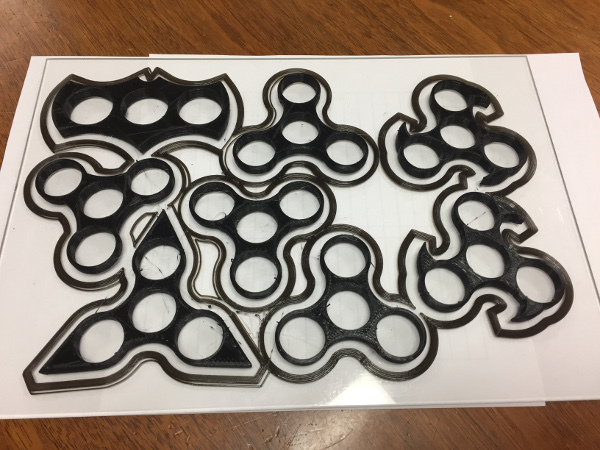 Students from MacArthur Intermediate School in Santa Ana, CA use an Airwolf 3D printer to bring their spinner designs to life. Kevin’s students create their spinners using Onshape, a cloud-based CAD program used for designing 3D models. Once their spinner design is done, they print their spinners on their Airwolf 3D printer. The spinners are then assembled using skateboard bearings to make them spin. The lesson puts kids through the engineering design process, honing their problem-solving, research, and creative skills. But they hardly realize that they are learning some incredibly valuable technical and critical thinking skills because they’re having so much fun. 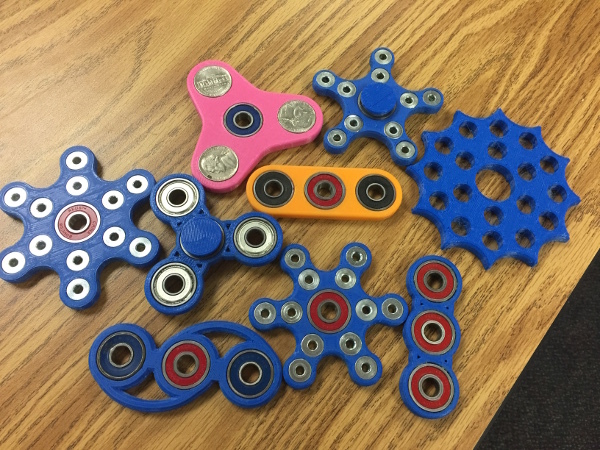 According to Kevin, his students have been so excited about the project that they even have been coming in before and after school to design, print, and assemble their spinners. 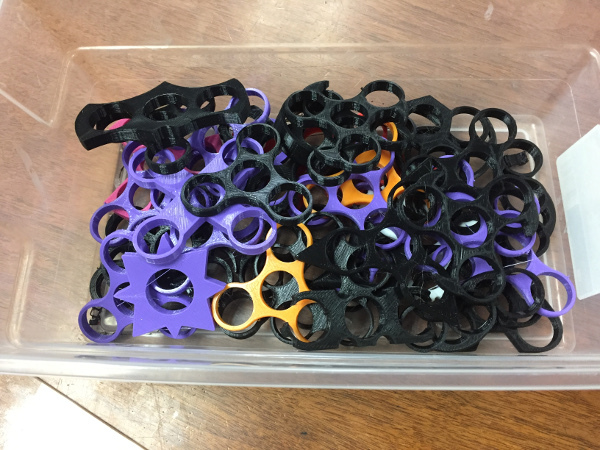 Dozens of 3D-printed spinners ready for assembly. The finished product: Spinners designed, 3D-printed, and assembled by students from MacArthur Fundamental Intermediate School in Santa Ana, CA. 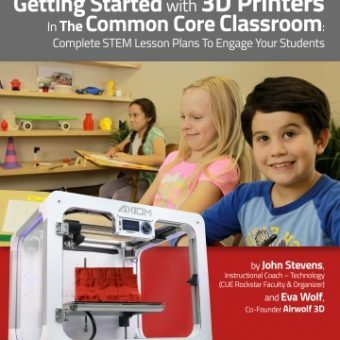 Want to know the BEST way to integrate 3D printing in your classroom? 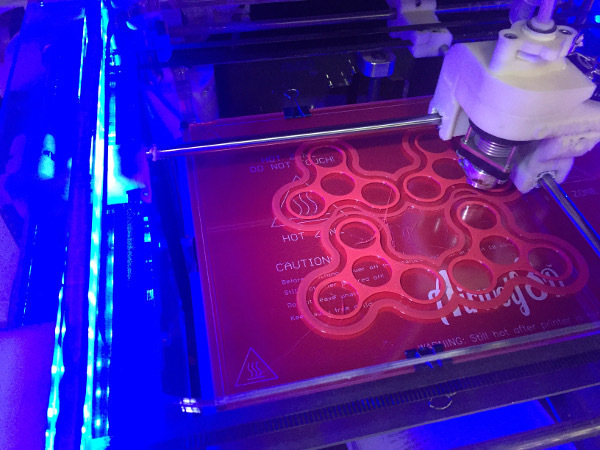 Sign up for our newsletter to receive a free download of our highly popular 3D Printing Curriculum and discover complete STEM lesson plans that introduce students to 3D printing. We will never share or sell your information. This entry was posted in 3D Printing for Education, Blog, Featured, News. Bookmark the permalink.